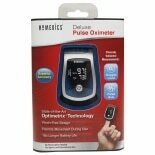 Keep track of your pulse and heart rate with wrist or fingertip oximeters. Whether you need to monitor your heart for medical reasons or want to monitor it while you work out, an oximeter is a non-invasive way to stay aware of how hard your heart is working. Fingertip and wrist oximeters offer similar information, so you can choose one based on which you prefer to use. 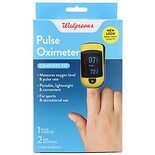 Find a pulse oximeter from Choicemmed or NatureSpirit here at Walgreens.com. 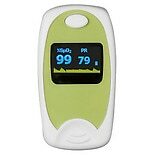 Both wrist and fingertip oximeters are compact, so they are easy to carry with you if necessary. There are different displays available on oximeters. Some have color readouts to make distinctions between the heart rate and oxygen level. 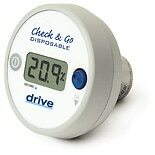 Certain oximeters have large displays for easier reading, and others have multi-directional displays so you can read results from various angles. 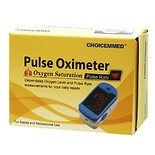 You can even find oximeters that come with internal memory so that you can compare and average your results. If you're concerned about your heart health, there are a number of supplements that may be of help depending on what your doctor has recommended. We carry fish oil, flax seed oil and cod liver oil in different doses and formulas. You'll also find Co-Enzyme CoQ10 and Omega supplements here. In addition to oximeters, we also have a selection of heart rate monitors such as heart rate monitor watches.